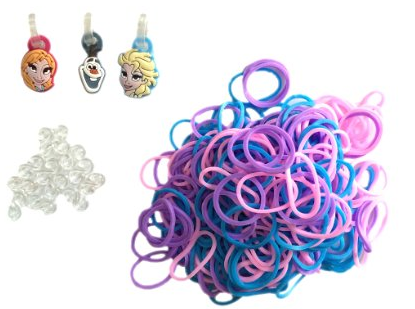 Disney's Frozen Loom Band Kit With Charms For Only $5.99! You are here: Home / Great Deals / Amazon Deals / Disney’s Frozen Loom Band Kit With Charms For Only $5.99! Disney’s Frozen Loom Band Kit With Charms For Only $5.99! for the holidays at great prices! Get this Disney’s Frozen Loom Band Kit With Charms For Only $5.99! Plus, it’s only $1.50 to ship!